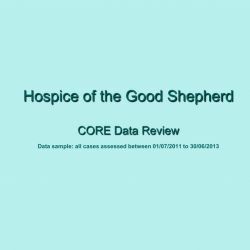 A scoping exercise identified that Western Cheshire had significant gaps in the provision of bereavement support. Subsequently a three year Macmillan Cancer Support funded project was launched to develop a comprehensive bereavement service for adults alongside the children and young people’s service which already existed. A project coordinator/ counsellor and administrator were appointed to lead the work and a hospital bereavement booklet was developed for use in any setting. The new service became available gradually over two years to groups of GP Practices following face-to-face meetings with each practice. A befriending service and support group were also developed. Western Cheshire had significant gaps in bereavement support. Local branches of CRUSE had closed and neighbouring branches were unable to help. The Hospice-provided was restricted to families known to specialist palliative care services. Those who experienced a sudden or unexpected death were therefore denied access to services. NICE guidelines outlined three necessary support components, and gaps were identified in each. Firstly, there were major gaps in the availability of generic information for the bereaved. Existing information was inconsistent and lacking in guidance. Secondly, the bereavement support group for families of those who had died at the hospice was experiencing static membership, typically attracting older clients. 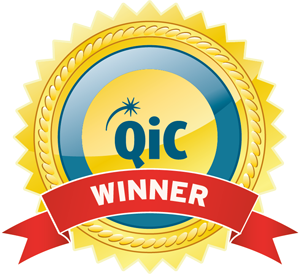 Finally, there was a need to help bereaved people in need of specialist interventions. The aim was to deliver a bereavement service accessible to all, normalising grief, rather than ‘medicalising’ it, while helping those needing further support. The team committed to developing a service for Western Cheshire, providing written information on the emotional aspects of bereavement and delivering counselling services consistently with regards to waiting times. They offered implementation of the CORE-OM system to provide risk assessment tools and measure therapy effectiveness. Clients’ befriending needs were to be assessed within two weeks of referral. Further objectives included flexibility in the number of counselling sessions provided, making the service cost effective, and developing an educational programme on bereavement. Ongoing funding is to be provided by the PCT/ CCG on achievement of these objectives.